Cora’s least favorite ex-husband Melvin is in jail for murder–and he’s writing a tell-all about her! 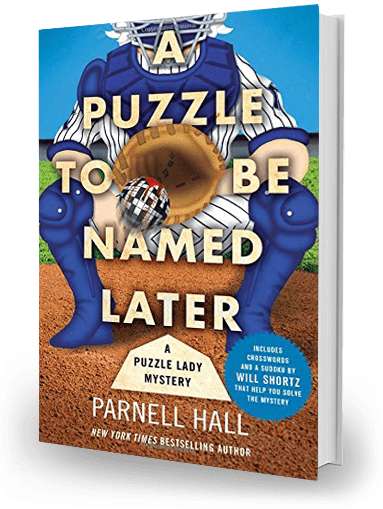 When Matt Greystone, the Yankees rookie sensation, chooses the quiet town of Bakerhaven to rehab from and arm injury, can puzzles and murders be far behind? A shocking crime has Bakerhaven buzzing. 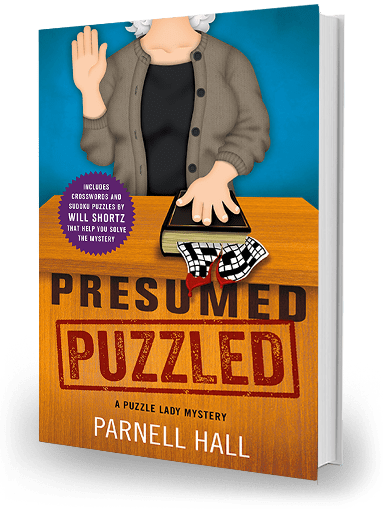 Paula Martindale, found drenched in blood and clutching a butcher knife over the body of her murdered husband, is on trial for murder, and it’s up to Cora Felton, the Puzzle Lady, to get her off. But all the evidence she finds in Paula’s favor seems to prove that Cora herself is the killer! 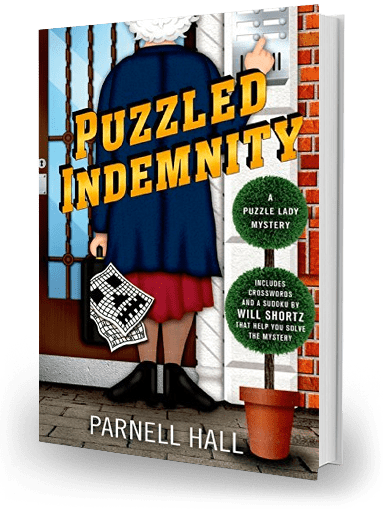 When young insurance salesman Hank Wells takes out a million dollar double indemnity insurance policy, his wife Brittany is sure it can mean only one thing. 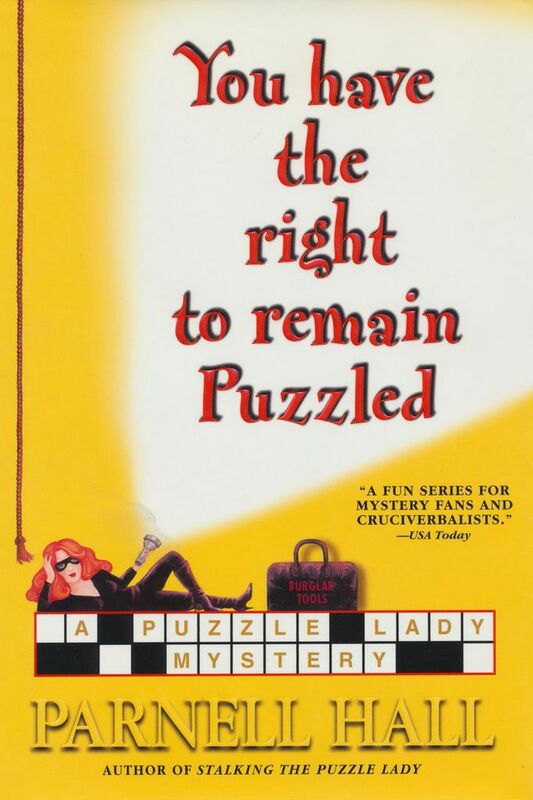 The Puzzle Lady has no trouble tracking hubby to his New York love nest, but when police arrest Brittany for killing him, Cora has to enlist the aid of her on-again-off-again lover, NYPD Sergeant Crowley, and his girlfriend! 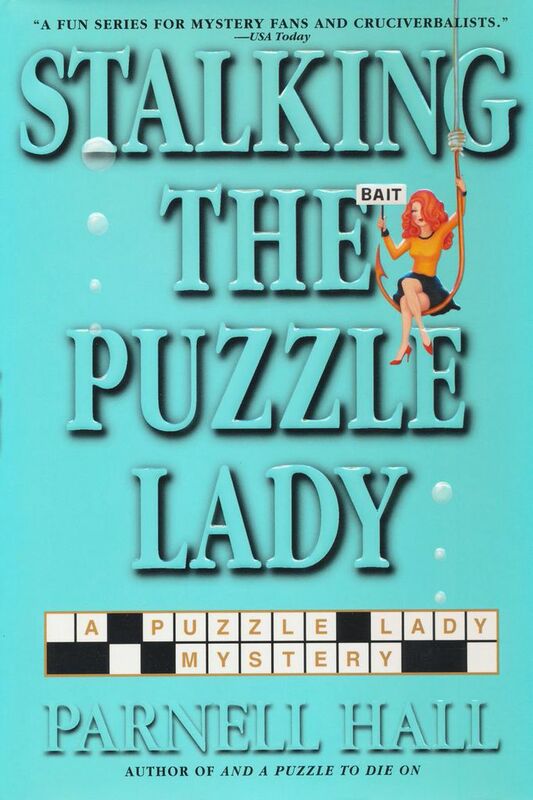 It was a simple assignment for the Puzzle Lady. Accompany attractive young attorney Becky Baldwin to a meeting with her new client in his New York penthouse. 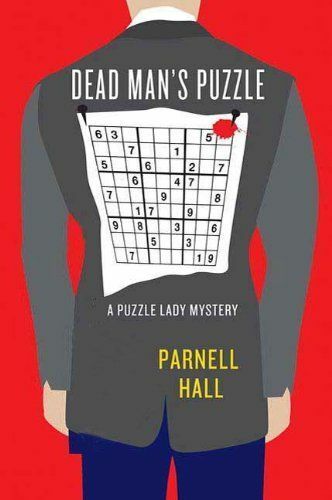 Only when they get there the man is dead, he has a crossword puzzle on his chest, and the police catch the her standing over the body with a smoking gun. Cora falls hard for the NYPD sergeant in charge of the case. If only he didn’t suspect her of murder! Was a killer with a bizarre sense of humor copying the old Cary Grant movie, Arsenic and Old Lace? When a roomer at the B & B is poisoned with elderberry wine, it certainly seems so. Could a grave in the basement and a body in the window-seat be far behind? Cora Felton would love to find out. If only she didn’t have crossword puzzle clues to deal with. Cary Grant never had to deal with that! Never make a blackmail payment drop. 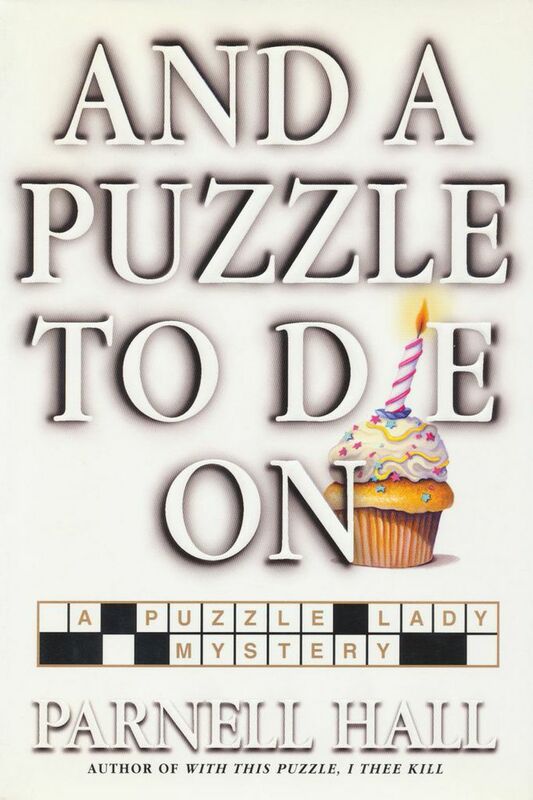 When the Puzzle Lady handles one for young attorney Becky Baldwin, things couldn’t go worse. 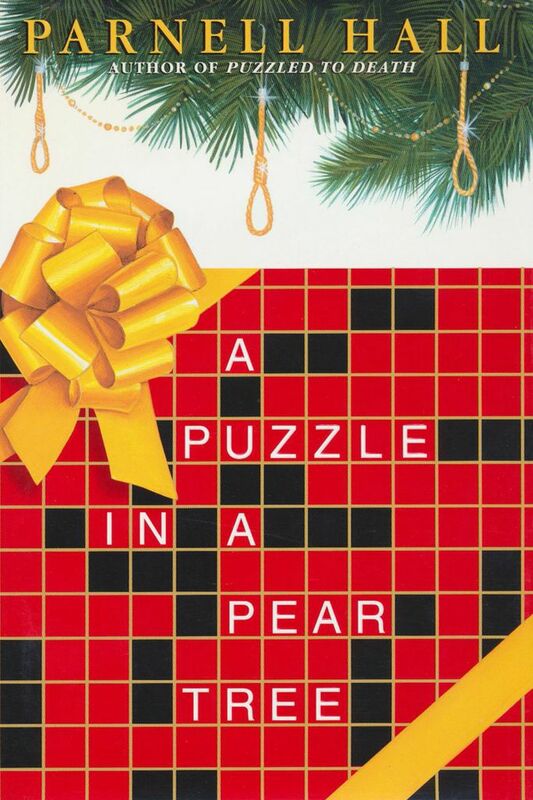 Someone steals the money, Cora gets caught with a corpse, the clues are crossword puzzles she can’t solve, her ex-husband Melvin is the chief suspect, a sadistic serial killer is stalking her niece Sherry and the newborn baby, and Becky won’t even tell her who the client is! 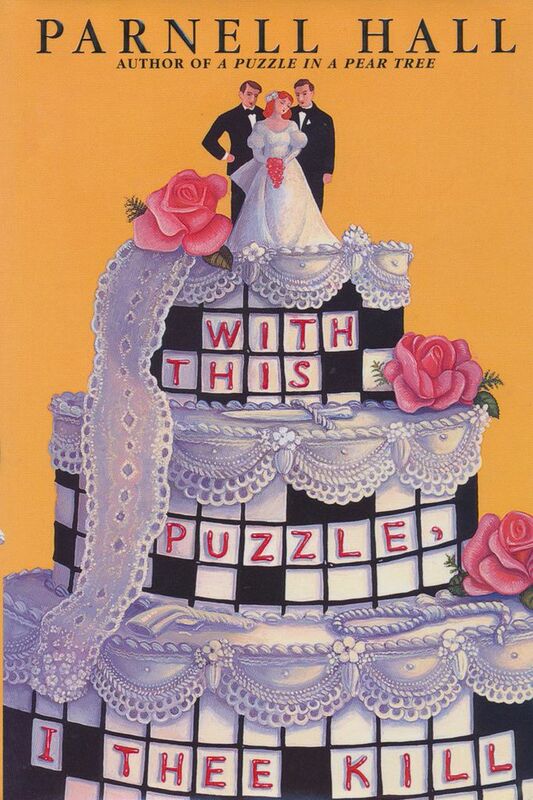 Bad news for the Puzzle Lady! 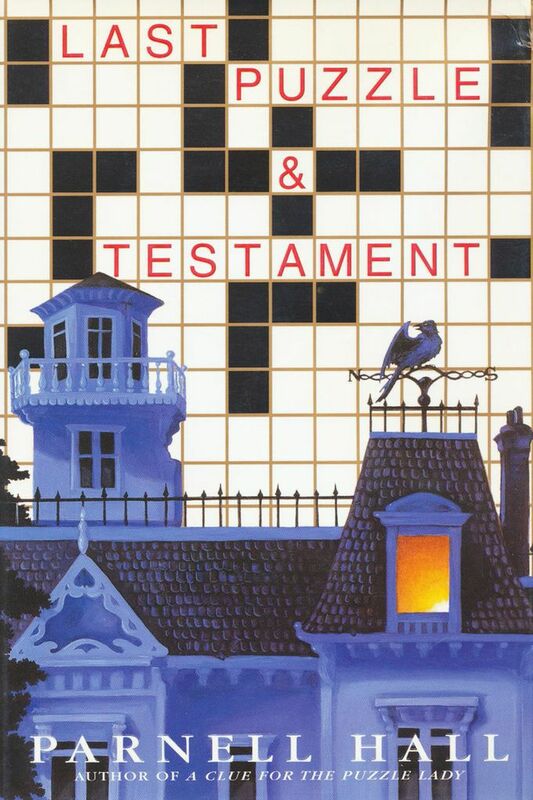 Her least favorite ex-husband, Melvin, is suing her for annulment, the creep has a twenty year old bimbo in tow, he’s making a play for Cora’s attractive young lawyer, Becky Baldwin, and the only thing keeping him from winning the alimony hearing is someone is bumping off his witnesses and leaving KenKen® puzzles on the bodies. 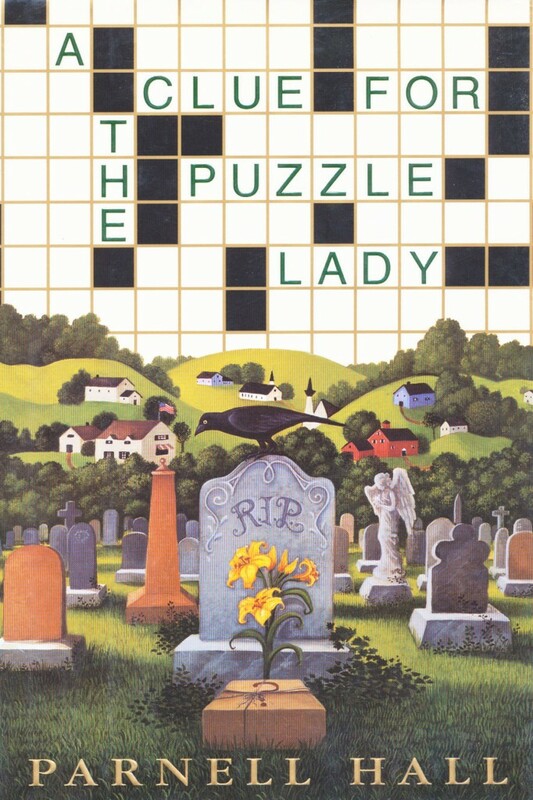 Someone is framing Melvin for murder, and the Puzzle Lady is the only one who can save him. But does she want to? 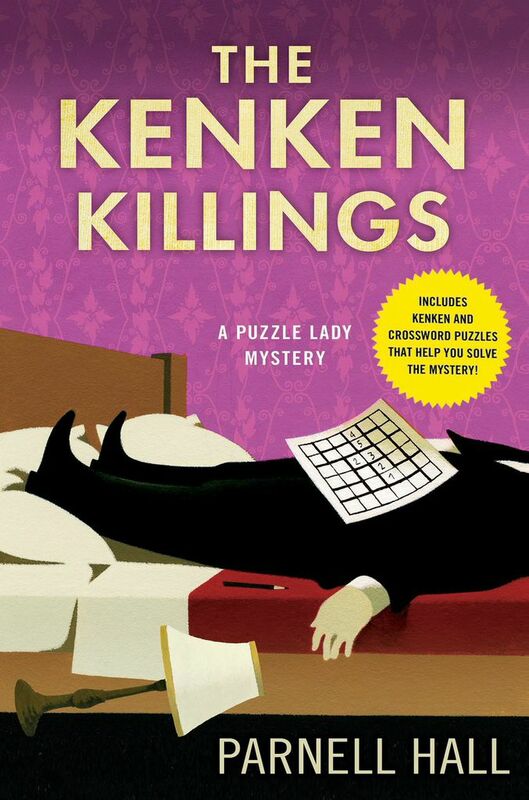 KenKen® puzzles and crosswords included! 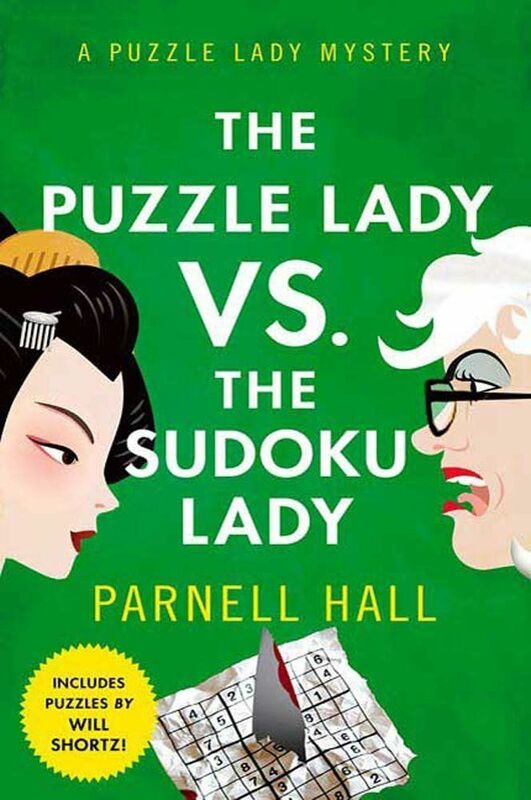 The Puzzle Lady takes on her Japanese counterpart, who is equally adept at solving crime., and who comes to Bakerhaven with her teenage niece just as a killer strikes. Cora would do anything to beat Minami at cracking the case. But she didn’t mean to frame her for murder! 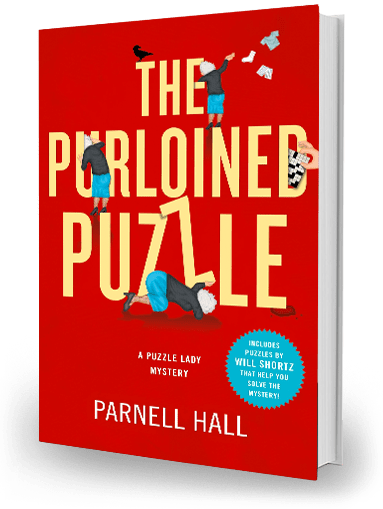 While her niece Sherry is off on her honeymoon with young reporter Aaron Grant, the Puzzle Lady,is forced to fend for herself. Bad luck for Cora! 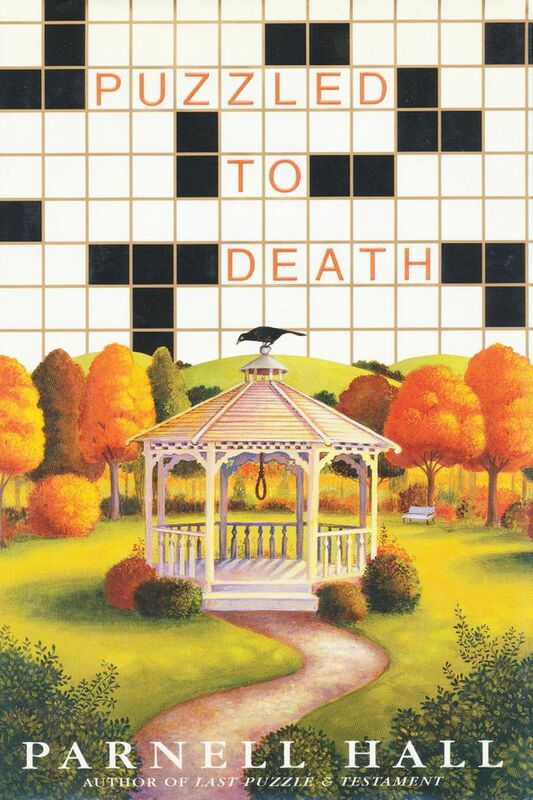 When cranky old hermit Overmeyer is found dead in his cabin, a crossword is the only clue. Cora, who couldn’t solve a crossword with a gun to her head, is forced to tap-dance furiously as she tries to solve the crime! 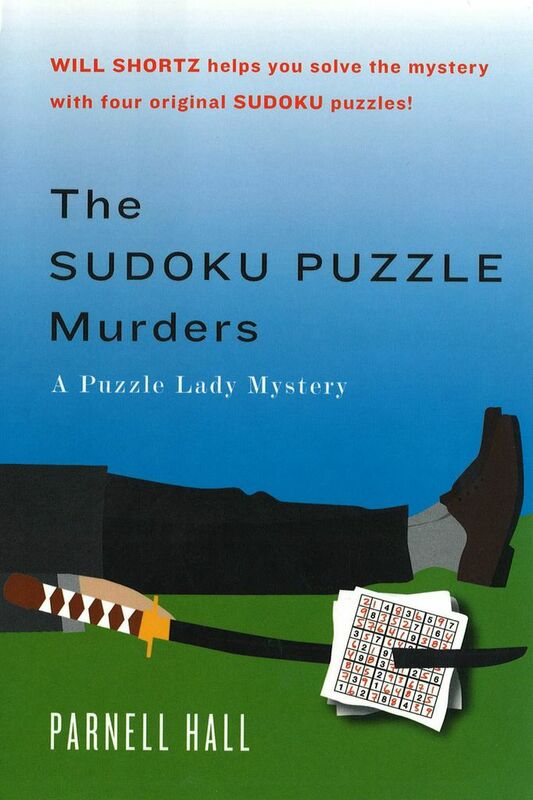 Cora Felton couldn’t solve a crossword with a gun to her head, but she’s a whiz at Sudoku, and it’s flattering when two Japanese publishes show up in Bakerhaven to vie the right to publish her book. At least until it leads to murder. If only the killer had just left Sudoku clues. But, wouldn’t you know it, he had to throw in some crosswords as well! It was a simple assignment. Help Chief Harper handle the case of some stolen chairs. 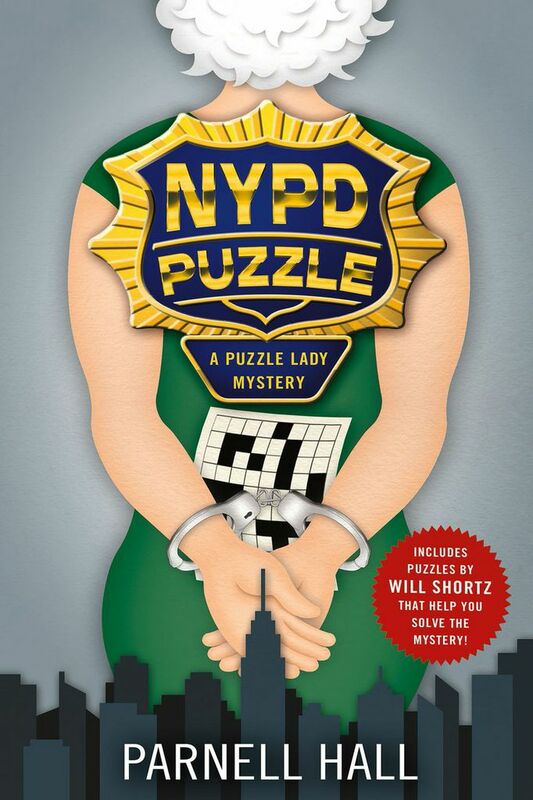 So how did it wind up with the Puzzle Lady arrested for murder! Cora Felton was on a whirlwind publicity tour for Granville Grains cereal, filming commercials and making personal appearances at shopping malls. The only thing keeping her from being bored silly was the killer stalking her and leaving crossword puzzle clues! Poking into a 20-year-old case of a convicted killer serving a life sentence seemed a hopeless task. But Cora must be doing something right, or another killer wouldn’t be trying so hard to stop her! The much-married Cora Felton was getting wed again, but the double-wedding ceremony with her niece’s ex-husband wasn’t her idea. Neither was murder! Cora Felton stars in a staged version of The Twelve Days of Christmas, and her niece Sherry plays the Virgin Mary in the town square’s live Nativity. Murder mars both productions. A crossword puzzle tournament in Bakerhaven? What could possibly go wrong? Murder, for one thing! 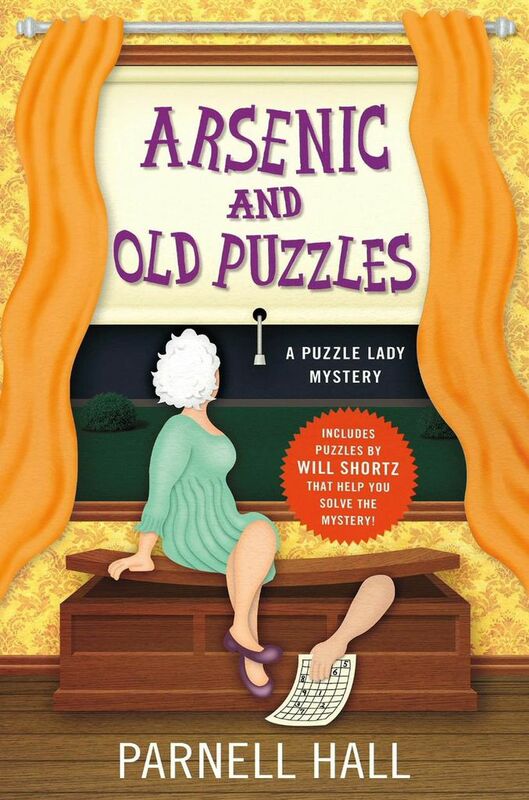 When an eccentric old woman’s will sends a pack of greedy heirs on a bizarre crossword puzzle/ scavenger hunt to see who will inherit her enormous fortune, the Puzzle Lady must solve the resultant murders! 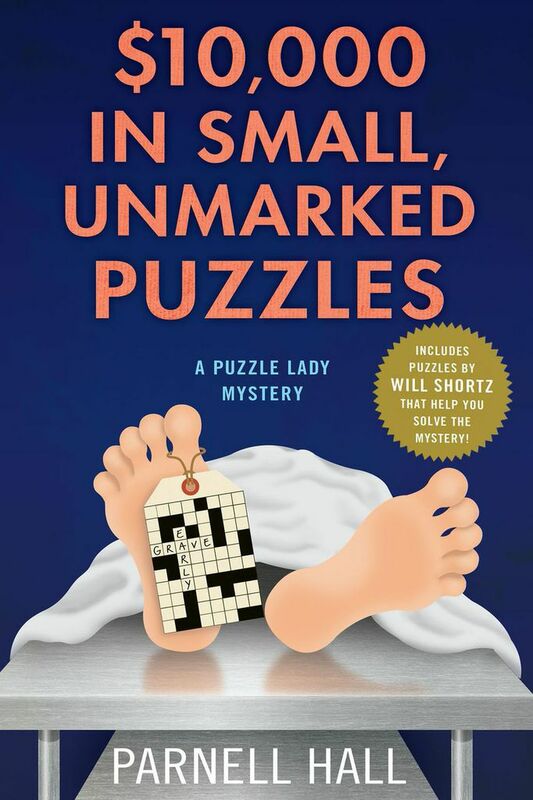 When the body of a young girl is found in the Bakerhaven cemetery with an enigmatic clue in her pocket, the chief of police enlists the aid of Cora Felton, the Puzzle Lady, not realizing she is a charming fraud who couldn’t solve a crossword puzzle with a gun to her head, but has an uncanny knack for solving crime.